Moore set his patriotic poem, The Minstrel Boy”, to the melody known as The Moreen, an old Irish air. It is believed that the poet composed the song in remembrance of friends he’d known while studying at Trinity College, Dublin, and who had taken part in / were killed during, the Irish Rebellion of 1798. Moore’s poem, The Last Rose of Summer, was composed in 1805 while he was visiting Jenkinstown Park in County Kilkenny. 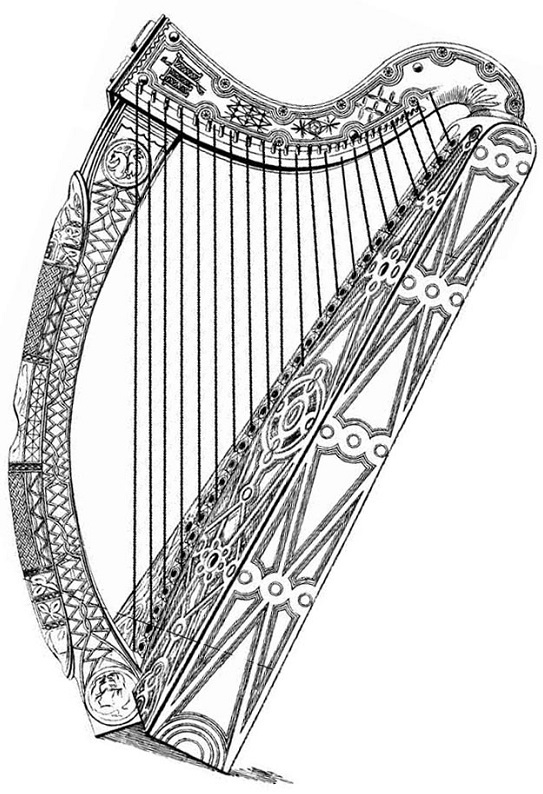 It was later set to a traditional tune called “Aislean an Oigfear” or “The Young Man’s Dream”, which had been transcribed by Edward Bunting in 1792 based on a performance by harper Donnchadh Ó hÁmsaigh (Denis Hempson) at the Belfast Harp Festival. 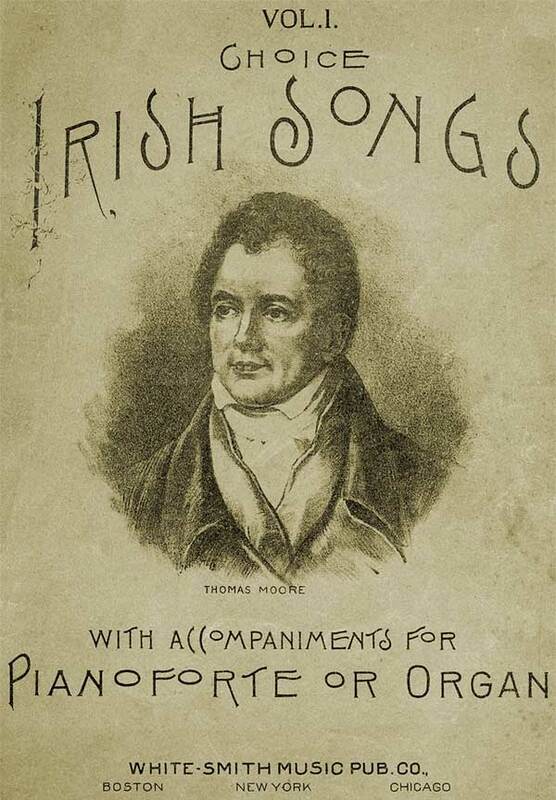 The poem and the tune together were published in December 1813 in volume 5 of a collection of Moore’s work called A Section of Irish Melodies. 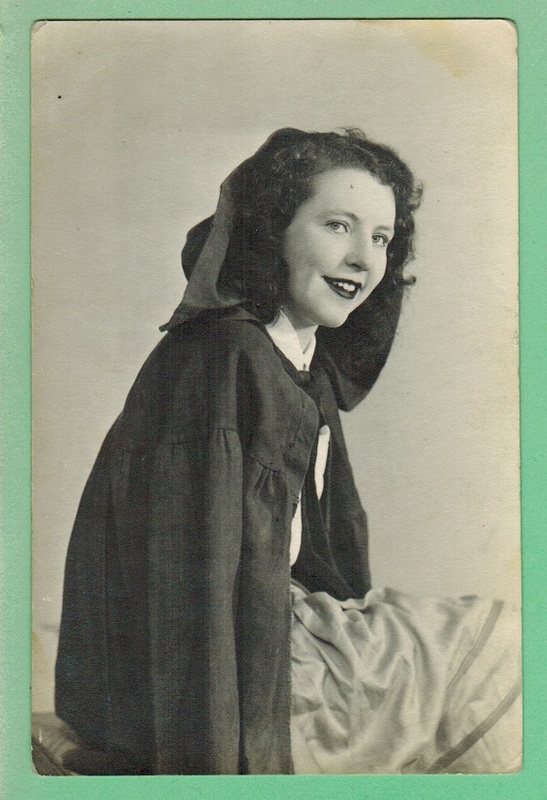 When I was about fourteen I went with a choir to Ulster Hall, a Victorian concert hall in the centre of Belfast. The occasion was a choral concert. I wore the “costume” of an Irish colleen. My cloak was green and my skirt had a satin horizontal stripe. My shoes I clearly remember: black oxfords – well polished. I stood alone, stage left, with a spotlight shining on me, and I sang The Rose of Tralee, not one by Thomas Moore, yet a popular old ballad just the same. And that was my singing début! The Last Rose of Summer I learned several years earlier, at Mullaghdubh Primary School, when we were evacuated to Islandmagee after the first air raid on Belfast in April of 1941. We’ll sing at St. Anne’s* our parting hymn. The Rapids are near and the daylight’s past! Oh! sweetly we’ll rest our weary oar. Thomas Moore, who would later be renowned for poems and songs such as “The Minstrel Boy”, “The Last Rose of Summer” and “Believe Me, If All Those Endearing Young Charms”, visited Canada when he was 25 years old. He wrote “A Canadian Boat Song” during his time here in 1804. *St. Anne’s: Moore visited this church – Ste-Anne-du-Bout-de-l’île–located in the town of Ste. Anne de Bellevue, on the tip of Montreal Island where the St. Lawrence River joins the Ottawa River. 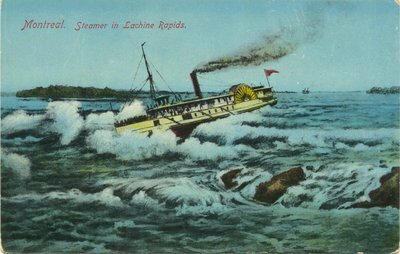 The Lachine Rapids, near Montreal Island_early 20th century postcard_These are The Rapids that Thomas Moore wrote about in his A Canadian Boat Song. Montreal celebrated its 191st St.Patrick’s Day Parade on Sunday, March 16th, 2014.